It’s hot, In case you haven’t noticed. When the heat is scorching you’re finned friends need a little extra TLC. 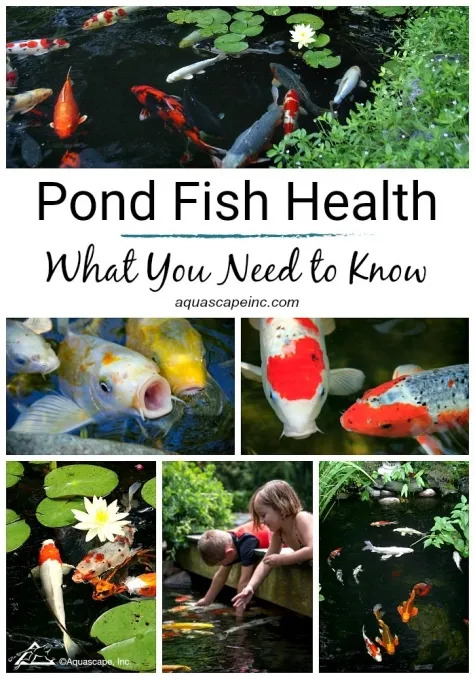 So we have some amazing Tips for a healthy summertime pond to help you keep your fish and your pond happy as can be. New Fountain Display installed at Dental Care of Lancaster. This fountain consists of six Mongolian Basalt Columns displayed directly in front of the entrance to the dental center. The entrance was plain and drab so we had to hook it up with something fresh and welcoming to all the patients. Besides the basalt columns we added a few weathered limestone boulders and some drift wood to really set off the display. This Wooded Retreat project started with the removal of a large area of bamboo roots, re-grading the area after, and installing bamboo containment barrier. All root materials were be excavated and disposed of off site. We then graded the side yard to eliminate mounds and low areas, removed rocks and boulders which were be used on front bank. Grading was also done in preparation for fence installation. Bamboo containment barrier was installed from street down to back of property. Who’s ready for some Outdoor Adventures???? Summer is FINALLY here even though it rains every single day here in Lancaster County :(. No need to fret though, because when the sun is shining this backyard will be full of life. I mean what more could you possibly ask for? This AMAZING outdoor living space in Quarryville, PA was just recently completed. 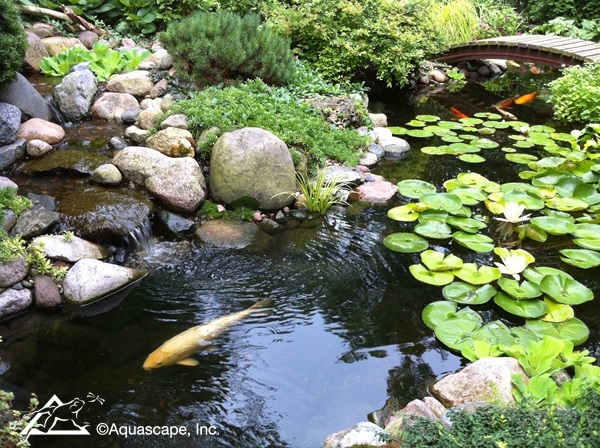 The project included the installation of paver pool decking, boulder retaining walls, irregular natural stone steps, and hidden sliding board mound. surrounding the pool and paver patio we installed new plantings, mulch beds, decorative river gravel beds, flagstone walkways, landscape lighting, fine grading, seeding, and erosion control to dress up all the disturbed areas. I don’t know about you but I’m ready to take a trip down that sliding board………….. This Natural Stone Patio Addition project included approximately 800 square feet of Irregular flagstone. The flagstone patio and walkway was added to an existing paver patio pool area. New trees and shrubs were installed throughout the property as well. This project also included edging and mulching the remaining pool area not being replanted during walkway and patio construction as well as the front of the house across the porch to the driveway. This included edging, pre-emergent weed preventer and triple cut bark mulch. New landscape lighting was installed on select trees as well as 11 path lights along the walkway and front of the home. 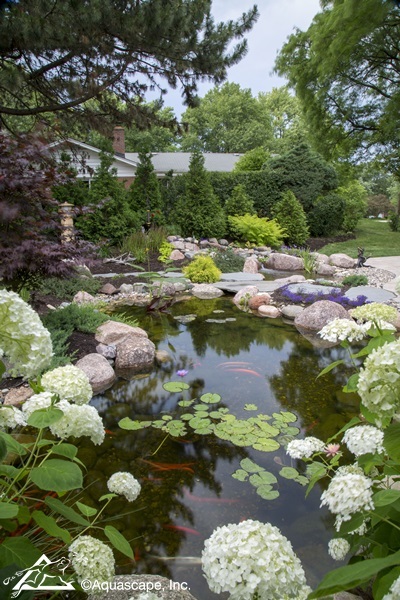 this is the second phase of a project that included a Driveway Entrance Landscape Renovation. The entrance way included installation of retaining walls, landscape beds, plants and trees, and landscape lighting. The retaining walls and pillars were constructed using concrete block and faced with stone veneer. Some tree removal, as well as grading and seeding of disturbed areas were also included. Low voltage lighting was also installed along retaining walls and throughout the surrounding landscape. This project was installed in Ephrata, PA. This Amazing Dream Backyard Travertine Paver Project features just about all the options you have ever dreamed about having in your very own backyard. We just recently completed this project and as you can tell from the video and photos below it’s quite the dream backyard. But dreams can came true, and for these homeowners they certainly have. So proud of our team for coming together and installing another amazing backyard paradise. The outdoor living area features everything from fire to water and includes multiple travertine patio areas, flagstone and travertine walkways, stone steps, pondless waterfall, landscape lighting, outdoor audio, fire pit, and landscaping. To think where the project came from a decrepit old deck to this beautiful work of art is almost unreal! Can’t get away this summer? With a pergola, you can escape to your own little spot of paradise right in your backyard. A pergola is an outdoor structure with a framework and roof that can be covered or left open with a roofing grid. Its design dates back to the Italian Renaissance. Additionally, he says, pergolas are a great way to add some height and depth to a mainly flat outdoor space, and an excellent way to set apart a specific area in your yard, such as a dining space, cooking space or gathering space. “Often an outdoor living space, without a structure, seems nice but has a flat and a rather false sense of smallness, but after a pergola is added, truly feels like another dimension was added,” says Kevin King, sales manager for Lancaster County Backyard in Kinzers. King says a pergola can change the whole look of a backyard. When considering a pergola, it’s important to look at your house and yard as a whole, Young says. Pergolas are versatile and can be incorporated into any size space on really any property, he notes. Where you choose to place it and the style you choose depends on your specific situation. Pergolas can be constructed from a variety of materials, in a wide range of styles, King says. The most economical are standard wood pergolas constructed with pressure-treated Southern yellow pine, which is stronger than a material like cedar and can be stained or painted, he says. Heavy timber wood pergolas provide what King calls a “rugged, ancient look,” and are very solid in construction. “These pergolas are also available in mortise-and-tenon joinery with oak pegs — a truly ancient style of construction,” he says. Additional styles of pergolas include standard vinyl, which provides a modern look and requires only periodic cleaning. “White vinyl color coordinates with many modern homes,” King says. And the overall look of a pergola can vary, too. Many backyard elements can be DIY projects, and a quick Pinterest search turns up thousands of ideas for homemade pergolas. Creating one can be done by a homeowner, Young says, but it requires more than just craftiness. King agrees, adding that any homeowner who’d like to try a DIY pergola should consider two things: post placement and the skill of the installer. Before you commit to having a pergola in your backyard, be sure to also think long-term, Young says. Enjoying the fact that spring has finally arrived with a Backyard Party hosted by some of our AMAZING clients in their newly renovated backyard paradise. 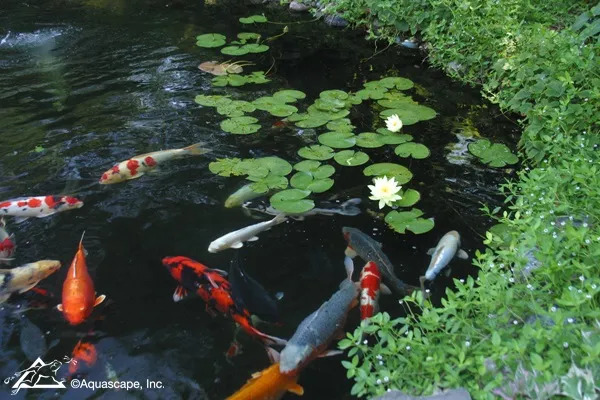 This Amazing Dream Backyard Project features just about all the options you have ever dreamed about having in your very own backyard. We just recently completed this project and as you can tell from the video and photos below it’s quite the dream backyard. But dreams can came true, and for these homeowners they certainly have. So proud of our team for coming together and installing another amazing backyard paradise. The outdoor living area features everything from fire to water and includes multiple travertine patio areas, flagstone and travertine walkways, stone steps, pondless waterfall, landscape lighting, outdoor audio, fire pit, and landscaping. To think where the project came from a decrepit old deck to this beautiful work of art is almost unreal!